The Wine Facilitator™ – 6 or 12 Combo and the 3-2-1 combo. The most versatile wine shipper in the industry. Heavy weight molded EPS 2 piece insert. Holds any 750 ml bottle. 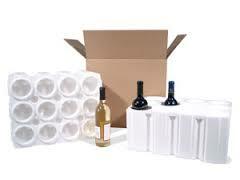 Safely ship tall thin bottles or any size up to champagne. 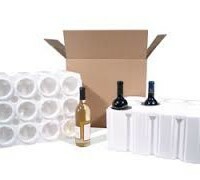 “Fingers” in both top and base hold bottles securely during shipment. Won’t rub labels or foil in transit. The foam has a easy snap apart design. Approved for shipment by FedEx.